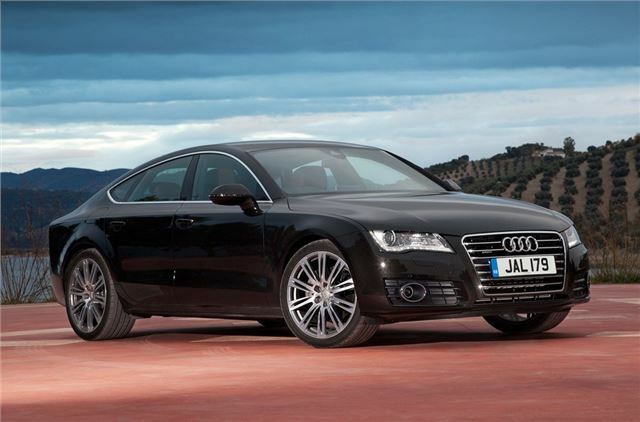 Audi has improved the A7 Sportback range with the launch of a lower powered 3.0 TDI quattro plus a new Standard specification which includes satellite navigation and is priced at £39,995. The new 3.0-litre TDI quattro with 204PS sits alongside the more powerful 3.0 TDI quattro engine with 245PS and gets the same seven-speed S tronic gearbox rather than the eight-speed multitronic CVT that's fitted to the standard front-wheel drive 3.0 TDI 204PS. Despite being four-wheel drive, it offers stronger performance than the front wheel drive version, with a 0-62mph time of 7.2 seconds. However, economy drops slightly with a claimed average of 48.7mpg and CO2 emissions of 152g/km. Benefit-in-kind liability for business users stands at 20 per cent in front-wheel-drive versions and 23 per cent for the quattros. The 3.0-litre TDI quattro 204PS model will be available to order in early August to coincide with a new Standard trim level that will be available exclusively with this engine. In new Standard form the A7 Sportback 3.0 TDI will lower the range entry price to £39,995, with the A7 Sportback 3.0 TDI quattro just above at £41,675 OTR. The new Standard specification comes with 18-inch alloy wheels, xenon headlights with LED daytime running lamps, Milano leather upholstery, the Multi Media Interface (MMI) with 6.5-inch colour display incorporating satellite navigation, Audi drive select adaptive dynamics, a powered tailgate and light and rain sensors. Elsewhere the range continues as before with a more powerful 245PS 3.0-litre TDI engine and naturally aspirated 204PS 2.8-litre or supercharged 300PS 3.0-litre petrol units, all of which are linked to quattro all-wheel-drive and S tronic transmission.